Never before has there been a need so great to ban together for the greater good in the protection of one of our most precious and historic natural resources, the horse. The recent lifting of a ban on funding for USDA inspectors at horse slaughter plants in the U.S., fueled by pro slaughter propaganda has led to a proverbial media frenzy with reports based on proponent anecdotes rather than reality, or actual fact checking. Documented evidence of egregious violations and a lack of enforcement by the USDA in U.S. slaughterhouses led to the defunding of USDA inspections in 2007, but in the absence of federal ban on horse slaughter, our wild and domestic horses continue to be shipped across federal borders where they are slaughtered just as inhumanely to this very day. Regardless of why, we as a culture, are so repulsed by the thought of consuming horse flesh, and the reasons are many; if we fail to uphold our fundamental moral and social responsibilities, we are in effect dooming the fate of our own humanity. If you are concerned about the inhumane treatment of animals, or concerned about serious threats to human health, or concerned about sustaining our environment, support Saving America’s Horses. Only a federal ban can protect us from the destructive and predatory trade of horse slaughter. “Saving America’s Horses, A Nation Betrayed is a loud wake up call for every American,” says Laura Allen of Animal Law Coalition. This international award winning documentary film is the single most comprehensive and compelling resource ever made available, and it features many leading equine welfare professionals in the U.S.
We invite all those that wish to uphold the integrity in doing the right thing, to come stand with us. 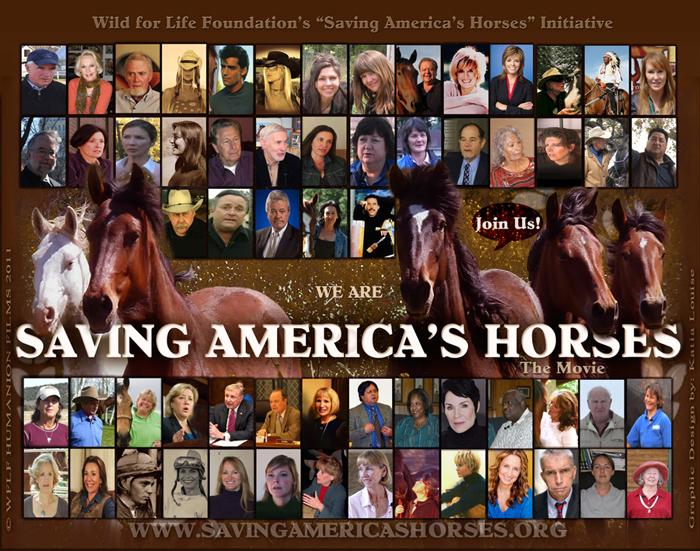 Join us in support of saving, protecting and preserving America’s wild and domestic equines. 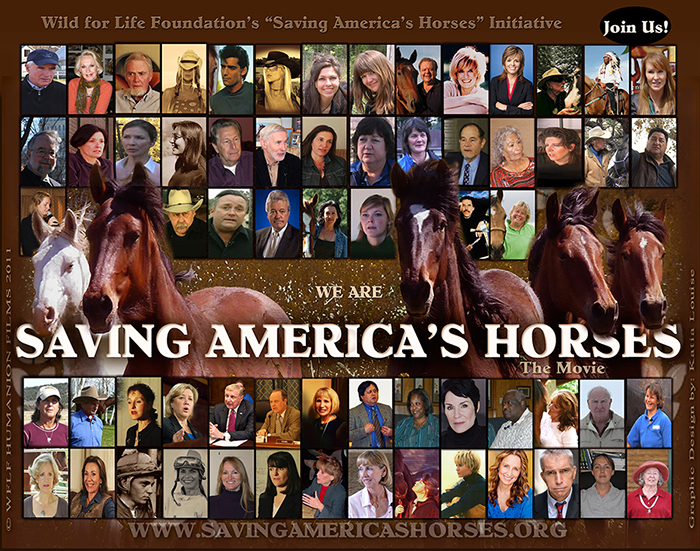 Support the “Saving America’s Horses” initiative and not only be part of the solution, but also take part in this powerful vehicle for change. 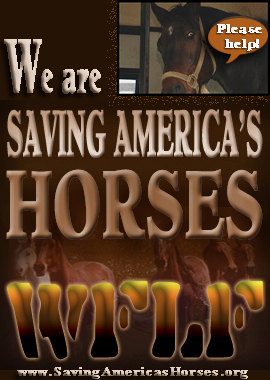 PS- You can also help by sharing Clips and telling your friends about “Saving America’s Horses“. Contact your U.S. Representatives, Support our Work, Like us on Facebook, Join our Cause, Subscribe to our Blog, Get Educational Banners, Corporate Giving, On Screen Credits, Join our Team.